If Karnataka had faithfully abided by the National Green Tri­bunal’s (NGT) March 2017 directive to plant 10 trees for every tree axed—whether on government or private land—it would have become the most forested state in the country. It would have accounted for almost 39,000 sq km of forest cover, about 20 percent of its geographical area. At present, it is the second-most forested state in the country, according to the 2017 Indian State of the Forest Report released by the centre. However, on January 10, 2018, following a special leave petition by Karnataka, a Supreme Court bench of Jus­tices AK Sikri and Ashok Bhushan stayed the NGT’s March 2017 directive. Karnataka stated that the order by an NGT panel headed by Justice Swatanter Kumar was coming in the way of the state government implementing development projects. The NGT had directed that all persons felling or cutting trees in forest areas or even on private land be banned from cutting trees unless they planted 10 trees in lieu of every tree that was cut or felled and/or proposed to be cut or felled. Further, those cutting or proposing to cut trees were directed to deposit sufficient money with the Forest Depart­ment to ensure that the planted trees were duly cared for and due protection was provided for at least five years from the day of planting. However, the Karnataka Preservation of Trees Act, 1976, mandates planting of only two trees in lieu of one felled tree. So, should two trees be planted for every tree axed or 10 trees, as per the NGT? To find out answers to questions like these and examine the vali­dity of the NGT directive, the statutes in Karnataka and other states, the apex court appointed former Karnataka High Court judge and senior advocate AN Venugopal Gowda on November 22 as amicus curiae to assist it. The loss of green cover is felt most in cities where concrete invasion is the highest. Almost all major cities in India, however, have tree officers whose permission is mandatory before a tree is cut. 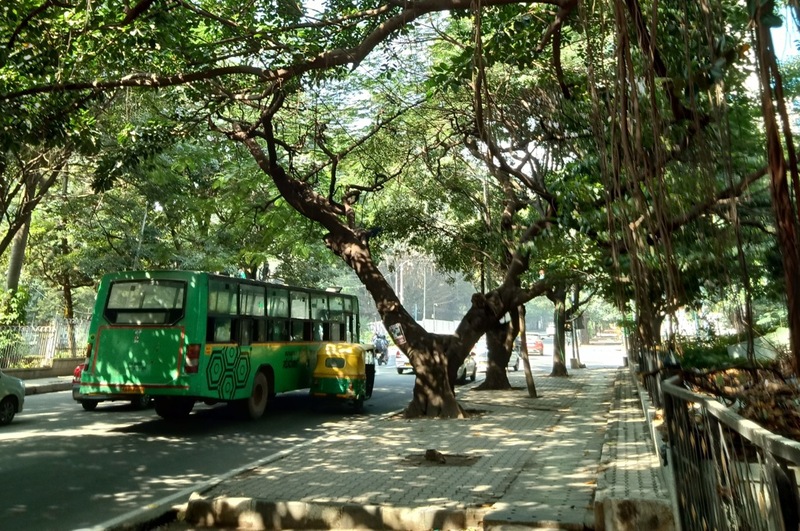 For example, Delhi, Mumbai and Bengaluru protect their green spaces under the Delhi Preservation of Trees Act, 1994, the Maharashtra (Urban Areas) Preservation of Trees Act, 1975, and the Karnataka Preservation of Trees Act, 1976, respectively. These are valid questions, said Leo Saldanha, founder of the Environment Support Group Trust, and an active crusader for green causes. Saldanha told India Legal: “The fact that the SC has taken cognisance of the importance of replacing greenery lost to urban and infrastructure development will result in a meaningful outcome. Such mischievous ways of circumventing laws and treating the loss of green heritage and trees must be firmly put down by the Court. Then only will the message go out to governments and developers that they cannot be callous about the environment. The Supreme Court now also has the opportunity to ensure that the Forest Department is not complicit in tree felling orders. This is the case in Karnataka, where, ironically, forest officials are drafted into civic and infrastructure agencies to facilitate tree felling, and are also the appellate authorities. The Karnataka High Court had held in Environment Support Group & Ors v. Bruhat Bengaluru Mahanagara Palike & Ors that such situations where one is a judge in one’s own cause is anathema in law. Further, in a PIL in which the Environment Support Group assisted, the High Court ruled that public involvement in decisions leading to tree felling and greening was fundamental. It even constituted Greening Committees for Bengaluru which involved the public. Unfortunately, they were not allowed to function due to a lethargic bureaucracy even five years after the verdict. The good news, on the national front, is that India’s tree and forest cover registered an increase of one percent or 8,021 sq km in two years since 2015. This is as per the 2017 India State of Forest Report. While releasing the report, Environment Minister Harsh Vardhan said India has shown a trend to increase its forest and tree cover as against the global trend where it had been decreasing during the last decade. The report says the total forest cover in India is 7,08,273 sq km, which is 21.54 percent of its total geographical area. Forest and tree cover combined is 8,02,088 sq km or 24.39 percent of the total geographical area. Much of the increase has been observed in the very dense forest category. The top five states where maximum forest cover has increased are Andhra Pradesh (2,141 sq km), Karnataka (1,101 sq km), Kerala (1,043 sq km), Odisha (885 sq km) and Telangana (565 sq km). In a case of India Shining, the country is ranked 10th in the world, with 24.4 percent of land area under forest and tree cover, albeit comprising only 2.4 percent of the world’s surface area. The Food and Agriculture Organisation has placed India eighth in the list of the top 10 nations reporting the greatest annual net gain in forest area. With Justice Gowda’s appointment as an impartial adviser in the tree plan­ting matter, and the Supreme Court’s go-green move, activists are upbeat about environmental consciousness spreading across the country.